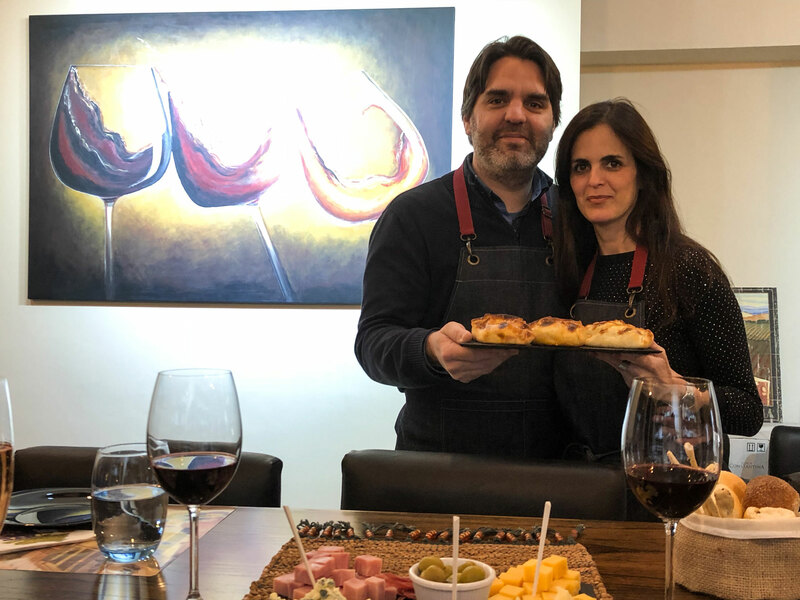 Juan Martín came from a technology background - he was a programmer in his other life. 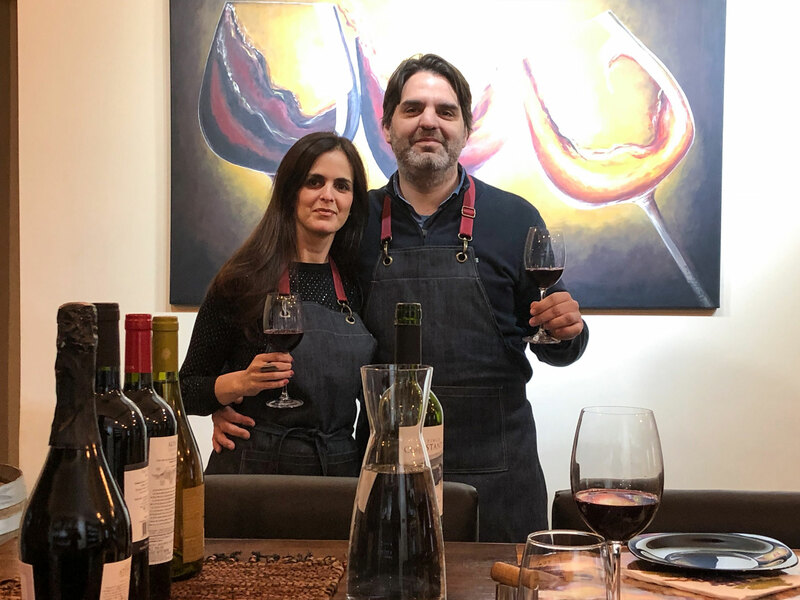 However, wine has always been his hobby and passion and about ten years ago, together with Bruna, his Brazilian wife, he decided to turn this hobby into a career. 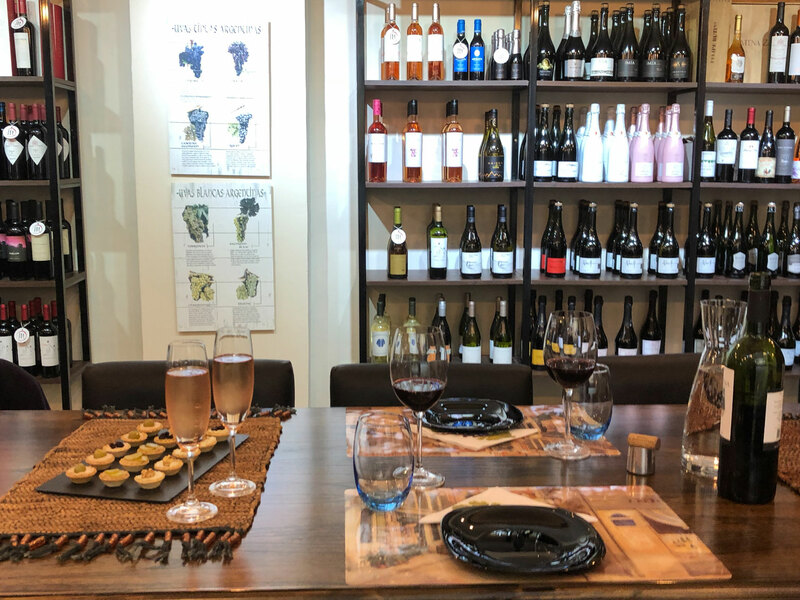 They launched head-first into their passion for wine and a few years ago opened their own small boutique wine store, where they sell wine and also do wine tastings and trainings. 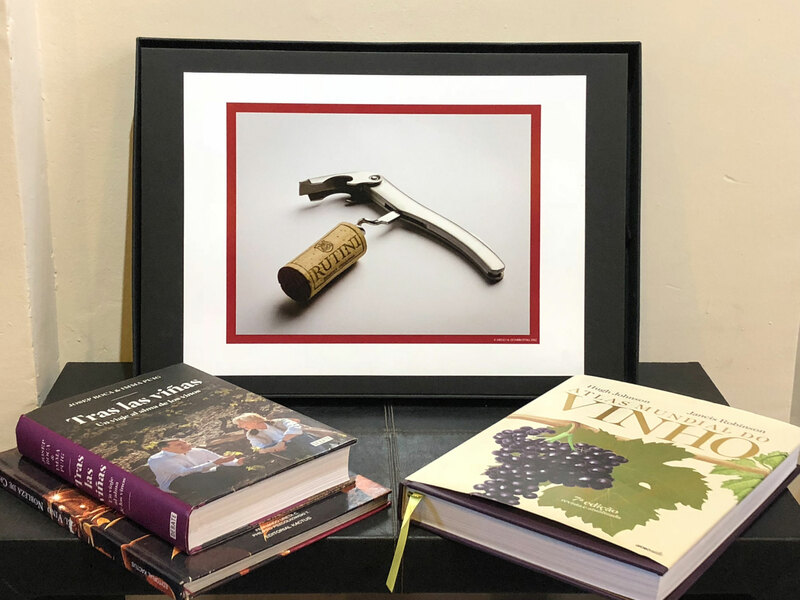 They are passionate about sharing their love and knowledge of wine with others! 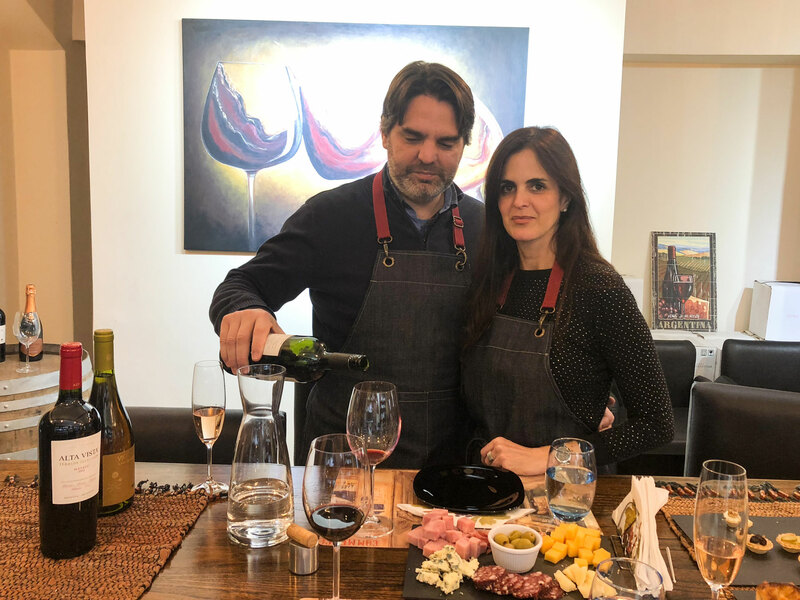 In-home meal: (1-16 guests) Meet your hosts Juan Martín and Bruna at their wine shop, located in Almagro, a simple residential neighborhood of Buenos Aires. 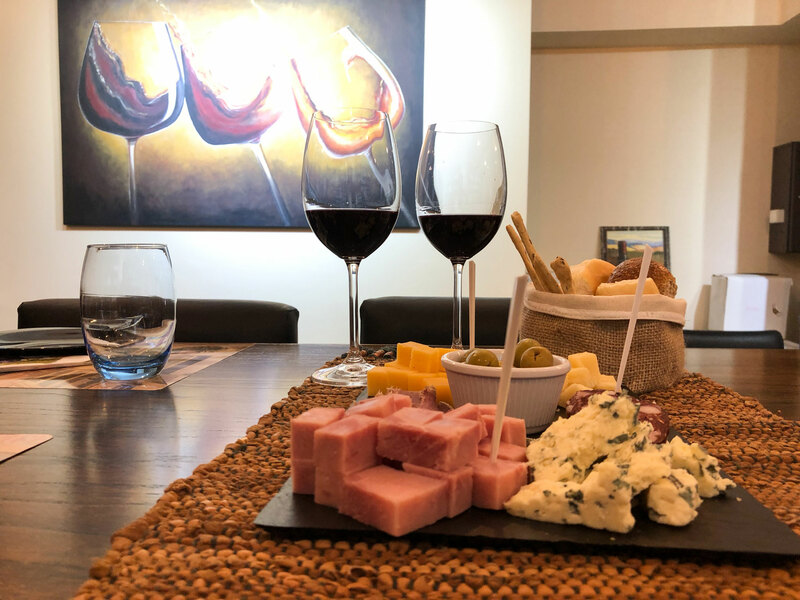 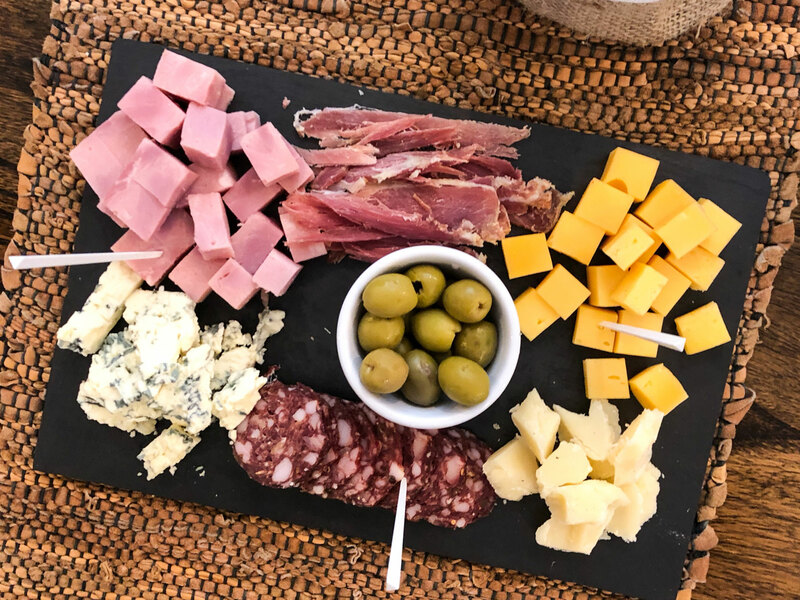 Over light snacks of olives and crackers paired with a glass of champagne from a boutique wine producer, Juan Martín will guide you through the main wine regions of Argentina, teaching you about the different grape varietals of the country. 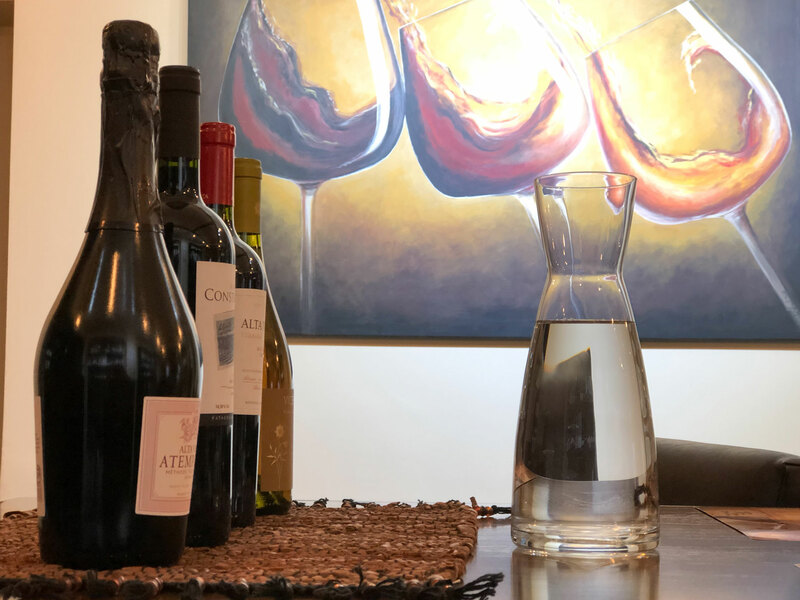 Your host will select three Malbecs and pair each with a local dish. 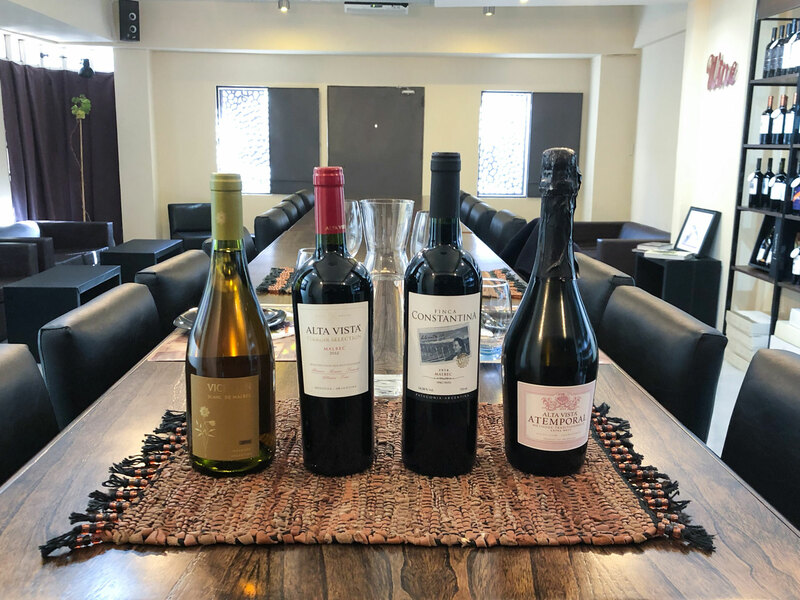 First will be a Malbec from the Patagonia region, which will be paired with picada (cured meats, cheeses, olives and breads). 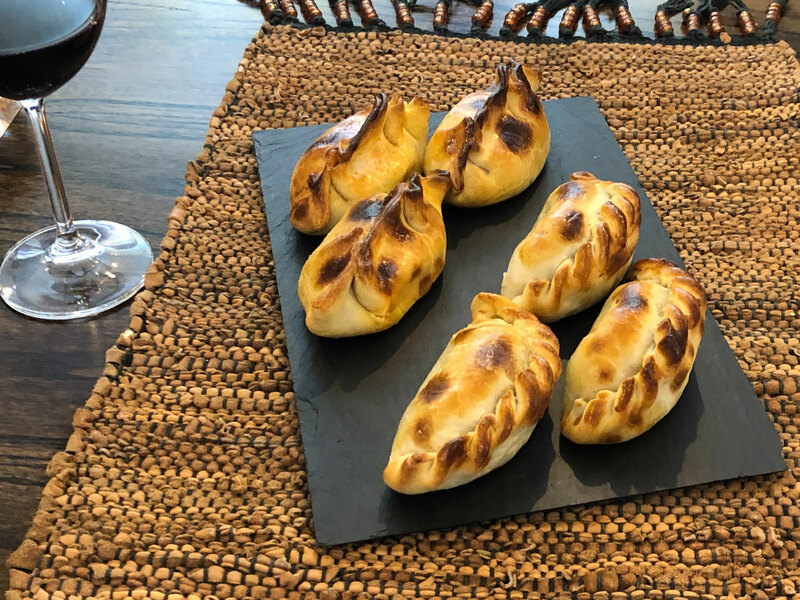 For your second wine introduction, Juan Martin and Bruna will serve a Malbec from Mendoza, together with home-made beef empanadas. 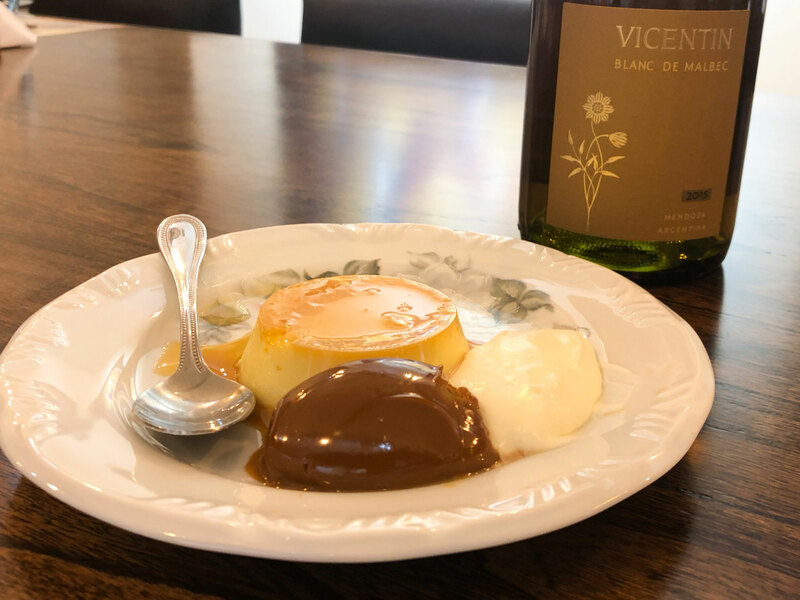 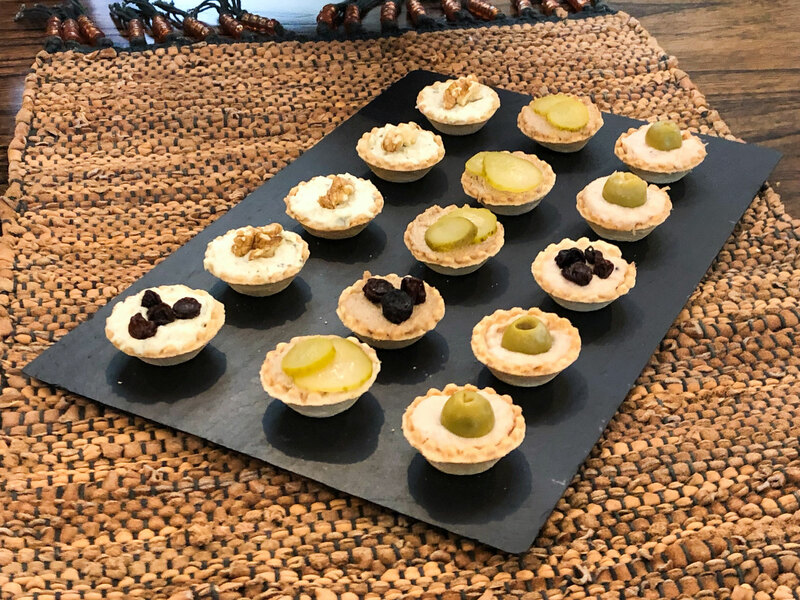 For dessert, enjoy a delicious homemade flan with dulce de leche paired with either a Blanc de Malbec or a torrontes, the country’s primary grape, only found in the north of Argentina (mainly Salta) that produces a white wine by the same name. 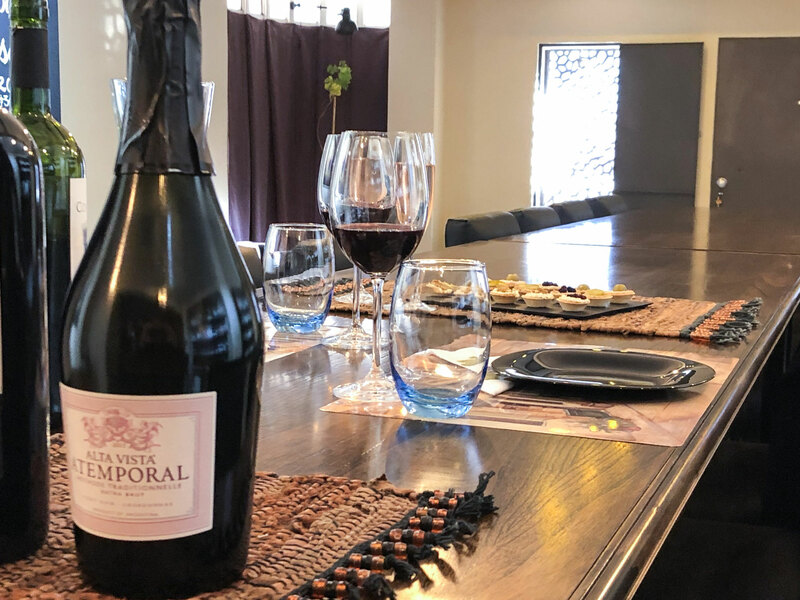 Notes: Price of the culinary experience includes wine and food.